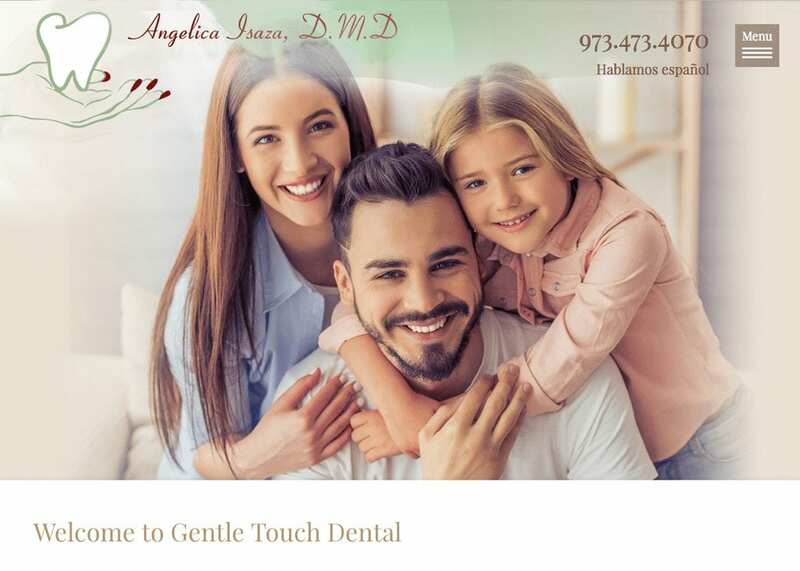 Dr. Isaza understands the importance of captivating her audience, helping them feel relaxed, and creating a trusting patient-dentist relationship with them. Her website is a reflection of the way she runs her practice – with gentleness, compassion, and a friendly atmosphere. For this website, we chose a traditional layout with a few modern twists. The home page features an expansive header image that scrolls through various pictures. Next, we spotlighted links to specific areas of the website based on interests, such as financial information, special services, new patient information, and more. Finally, a scrolling testimonials section is just what is needed for converting new visitors into patients. Throughout the remainder of the website, visitors receive detailed directions to the practice, information about the team, a rundown of services, and the ability to download patient forms directly from the website. We also created a special promotions section where Dr. Isaza can feature special offers as she so desires. This website is light and bright, using a white background and accents of warm beige. The colors are non-intimidating, allowing new visitors to feel comfortable and at home with the office from the start. The light colors also allow readers to digest the informational articles with little to no trouble. White implies a sense of professionalism as well. This website contains many modern website design elements that give it a more custom appearance than competitors who may otherwise choose a template-based design. For example, this site utilizes a small upper corner menu that helps to maximize screen space and make a strong statement to visitors. We also built the site on a full-width layout that minimizes white space and eliminates screen margins. Marketing a dental practice requires much thought and deliberation – even down to the elements within the practice website. We optimized this website for premium search engine results and aimed to convert new visitors into patients via the prominent phone number featured at the top of the home page and the appointment request form on the ‘contact’ page. In addition, we linked the practice website directly to its social media accounts, allowing potential patients to stay connected with the office in between visits. This website conveys a very feminine message, from the soft and warm tones to the carefully selected images, gentle words, and womanly hands depicted in the logo. Based on the soft curved lines and the welcoming statement from Dr. Isaza alone, patients will see that they are in very capable and compassionate hands at this practice.